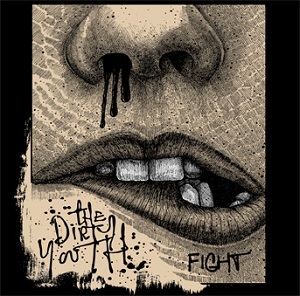 The Dirty Youth are a young rock band from South Wales. Depsite the fact that they are yet to release their debut album they have already had a video played on Scuzz and appeared at both the Download and Bloodstock festvals. "Fight" is the title track and is a storming anthem that I'm sure will win the band a load of new fans, particularly among teenage readers of Kerrang. The musical style is likely to appeal to fans of Paramore or Avril Lavigne rather than fans of classic rock or metal fans, and is definitely a radio friendly style that is likely to lead them to big things. "Crying out for you" is another great song with a good tune, nice guitar and bass work and Danni's vocals sounding great. The final track is a stripped down track - mainly just piano and Danni's vocals. For me this is the best track here as it strips away the polished production on the other songs and allows Danni's vocals to be the focus of attention, and lets you see that she does have a great voice.